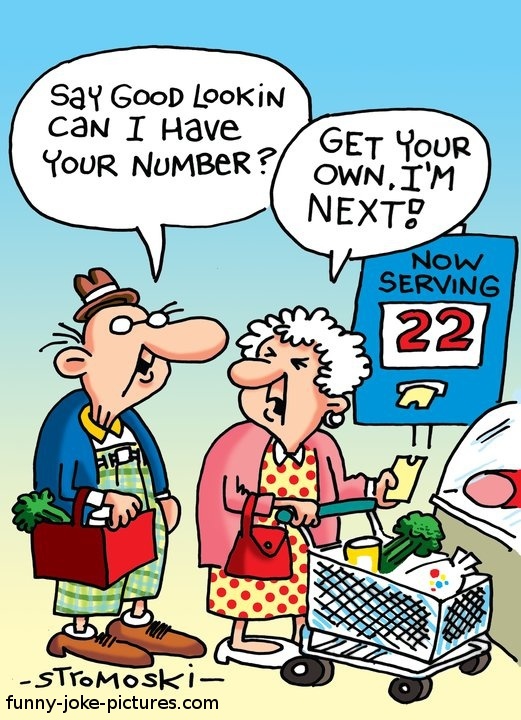 Funny Old People Queue Number Cartoon - Say good lookin can I have your number? Get your own! I'm next.